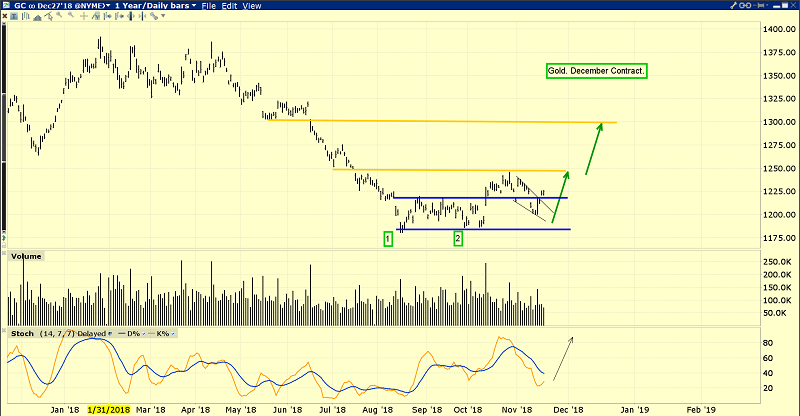 After breaking upside from a double bottom pattern, gold continues its solid price action. More good times lie directly ahead for precious metals investors, because Chinese New Year buy season begins very soon. Note the solid position of my key 14,7,7 Stochastics indicator on this daily gold chart. The US stock market’s “traditional end of the year rally” is turning into a veritable turkey shoot for the bears. Gold seems immune to the action, suggesting that unseen inflationary pressures may be larger than most investors realize. Investors need to understand that as the business cycle matures, volatility in the stock market rises. Any decline could be the start of a bear market. A “buy the dip” approach to the market becomes a death trap as corporate earnings peak, rates rise, GDP peaks, and inflation gains attention. The bottom line: US stock market bears crack the whip, and late cycle price chasers take a horrific trip! Morgan Stanley’s top currency analysts believe the dollar has peaked against most of the currencies it recently rallied against. Hedge fund “superman” Ray Dalio is talking about a 30% dollar devaluation. He proposes monetizing the US government’s huge debt as a “final solution”. I’ve suggested a “Plaza Accord 2.0” is going to happen. I believe President Trump will lead preliminary discussions about it from behind closed doors at the upcoming G20 meeting. As empires peak and then die, the peak usually comes with the nation enveloped in a state of “war worship”. Massive amounts of money are borrowed by the government to fund the madness, but even that isn’t so enough, so more is extorted via “taxes” from struggling citizens. 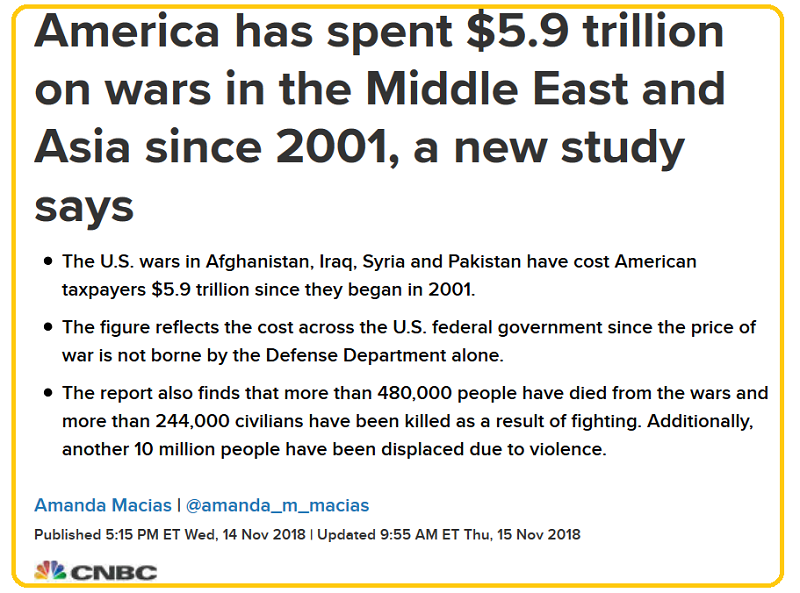 In the case of America, more than 25% of the government’s gargantuan debt is easily attributable to war worship. The final nail the US government’s debt coffin likely came when instead of cutting the capital gains tax to zero and beginning a Treasury monthly gold buy program, the governmen decided to impose tariff taxes to “boost growth and make trade fair”. Import tariffs are the best form of taxation, but only when used instead of income and capital gains taxation. In this case, tariffs are layered on top of income and capital gains taxes. The bottom line: Instead of becoming a super-sized version of Switzerland, America risks becoming a stagflationary wasteland. 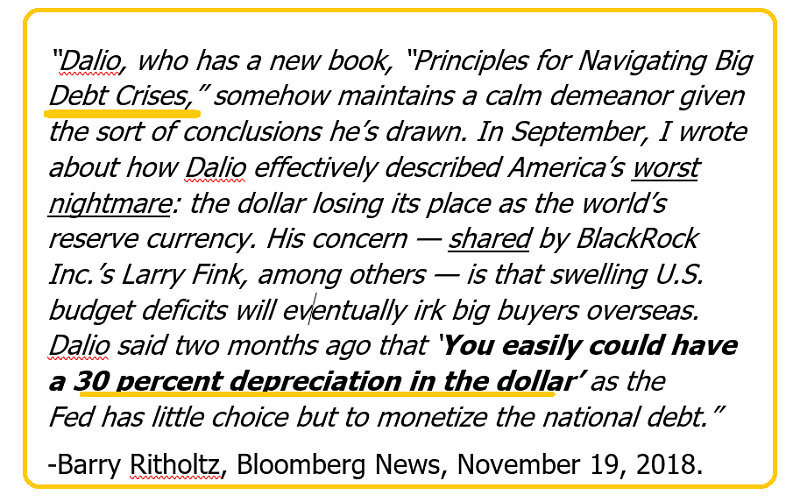 Ray Dalio speaks of “other currencies” rising to prominence as the dollar fades. He says he doesn’t want to be specific about it though. Is that because gold is one of those currencies? The US stock market has begun collapsing, inflation is on the move, and junior miners should be looking good. Are they? Most of the world’s smallest resource companies are in the Canadian CDNX index. It’s the best indication of the overall health of the global junior mining and junior energy sectors. I highlight key buy and sell action points on my www.gracelandjuniors.com website for many of the CDNX component stocks. 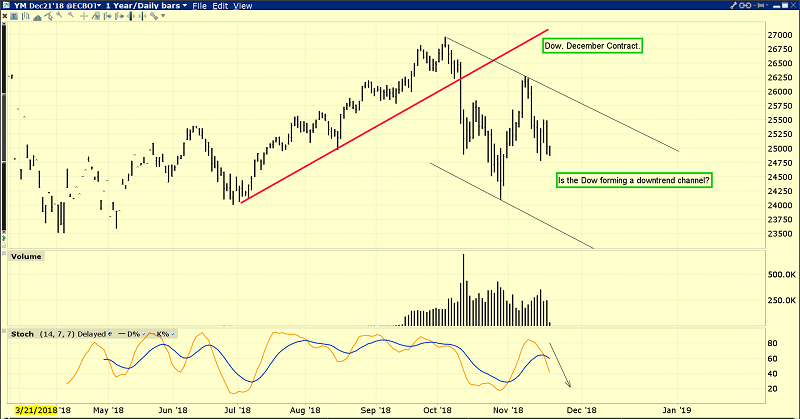 This is a look at the signals for the index itself. There’s no significant buy signal yet, but in early 2019 as inflation likely moves higher and US GDP declines, a “America, it’s time to usher in the new year with a new and not so exciting era of substantial stagflation!” welcome mat will be rolled out. 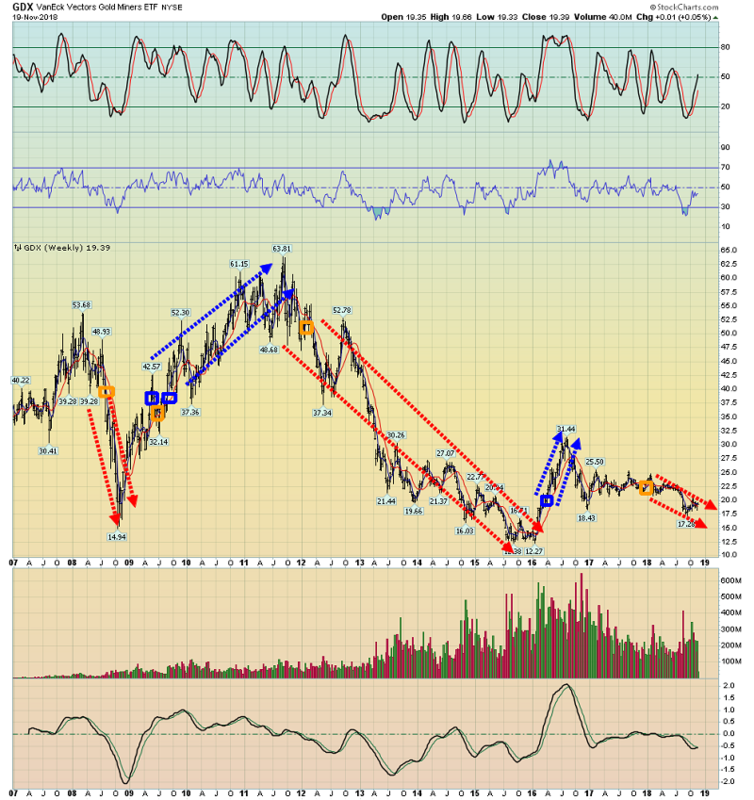 I expect to get a major buy signal for the entire junior mining sector as that happens. I’m impressed with the price action of GDX on this daily chart. Note how quickly GDX has surged back above the neckline of that pesky H&S top pattern after breaking down. That’s positive action and now there’s a bull wedge in play too! 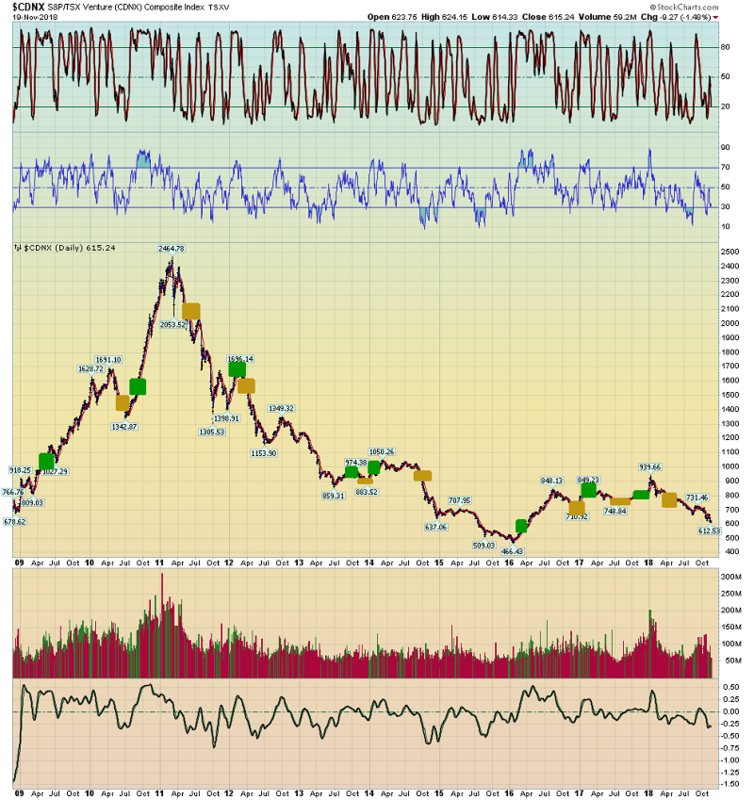 This is the long term GDX “Trigger Time” chart. 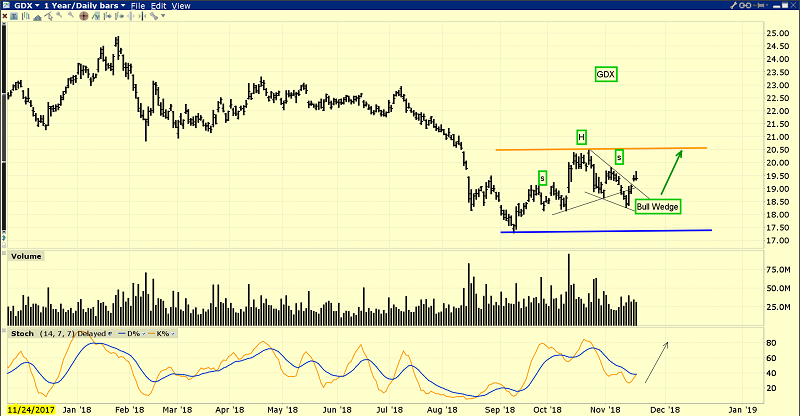 Investors also need to watch the price of Barrick (ABX-NYSE) closely. If it can close above $14.00 on Friday of this week, that will be a major buy signal, and Barrick is my most important lead indicator for GDX and the entire senior gold stocks sector. All gold stock investor eyes need to be laser-focused on the $22.50 zone for GDX, because if GDX can stage two consecutive Friday closes above that price, I will have a massive buy signal in play! Special Offer For Gold-Eagle Readers: Please send me an Email to freereports4@gracelandupdates.com and I’ll send you my free “It’s Junior Gold Stocks Trigger Time!” report promptly. I highlight key entry and exit points for six junior gold stocks that should be mandatory holdings in all junior mining stock portfolios!